A co-worker of mine is reading The Secret Garden, and she left the book lying behind the concessions counter at Reel Pizza last Friday. It sparked off a conversation amongst us about children’s books written around the turn of the century through the 1950’s or so, and which one’s we had read, which one’s we had always meant to, etc. During this conversation I was reminded of a series of books I read when I was 9 or 10 that were about several children, British I thought, living in a rundown house in the country, having magical adventures. Could be any of a dozen series’, but I thought I could remember the author’s name – E. Nesbit. 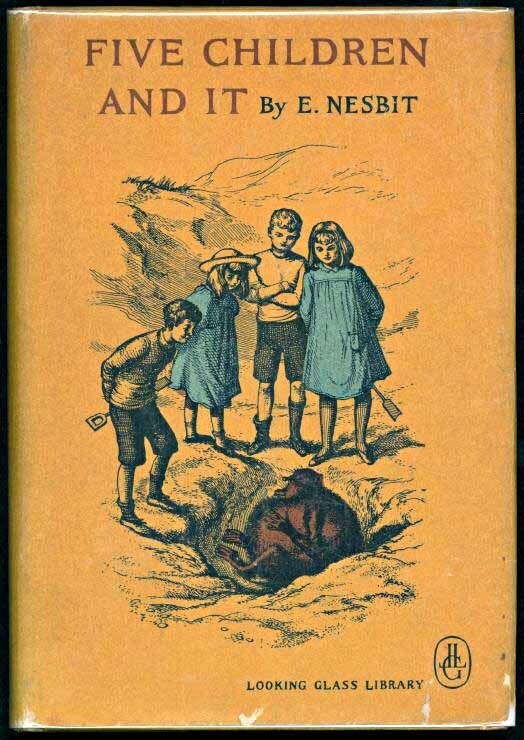 My handy iPhone was nearby, so I quickly determined that while E. Nesbit had written quite a few wonderful books that pretty much fit that plot line, and which I had read when I was younger, her books were not the one’s I was thinking of. I drew a blank. However, my mind continued to work the problem, and I was inspired to reread some of E. Nesbit’s books, so I visited the library and found myself down in the basement searching through the “endangered” childrens book selection. I didn’t find any Nesbit, nor by just scanning hopefully did I discover the mysterious books I was searching for. I did get a huge shiver of excitement when my eyes drifted across the title The Children of Green Knowe by Lucy M. Boston. So now I had two whole series’ to read, and the thought of revisiting those magical haunts still thrills me, but it wasn’t until today that I finally figured out the specific books I was thinking of. Wikipedia to the rescue!! 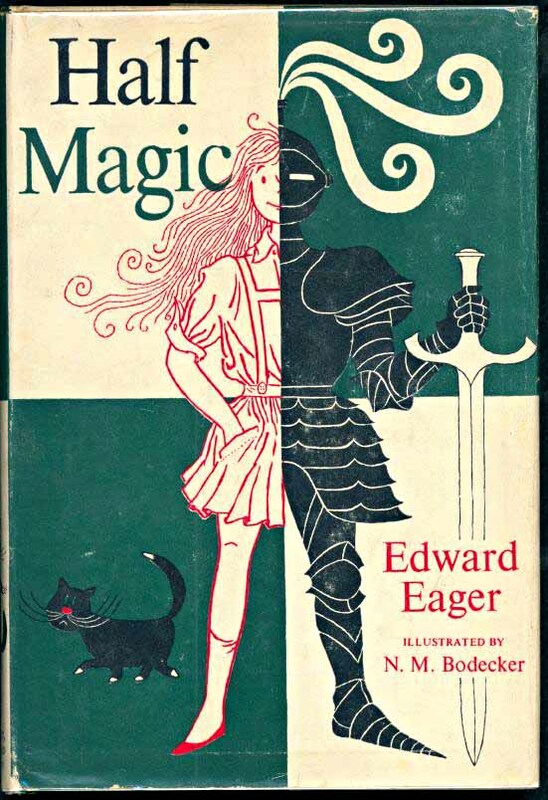 The author is Edward Eager, and it is his Magic series that I took delight in when I was 10 and hope to reread now. Phew, glad THAT mystery is solved!! speaking of reading old-school, magical children’s books, i have just read four of madeline l’engle’s books for the first time. 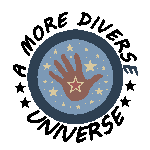 you know, “a wrinkle in time” and all those. if only i would have read them as a child, i might have discovered a love for science fiction/fantasy earlier. someday i will endeavor to read the books you listed but i already have too big a pile of must-reads in my room and i’m in the middle of other serieses (what is the plural of series???) 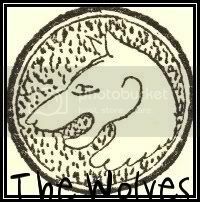 and i just can’t let myself get more involved or i won’t do anything else in my life except read children’s books!